Marvel Hulk Video Slots Game Winner at Euro City Casino. 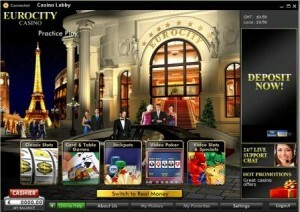 Euro City casino announced on May 22nd a record win on their popular Marvel Hulk Video Slots. They crowned the new jackpot winner as “N.B.” who resided in Munich, Germany. On Wednesday 18th May 2011 ‘N.B’, a female slots player from Germany hit a massive $187,000 payout in the very popular Marvel Hulk Video Slots game.